Hey loves! I know i have many been posting on insta but like you might have guessed I shockingly (..sarcasm..) have caught the flu. I am so over with having a low immune system that I have been slowly trying to improve my health and take different avenues to do so! 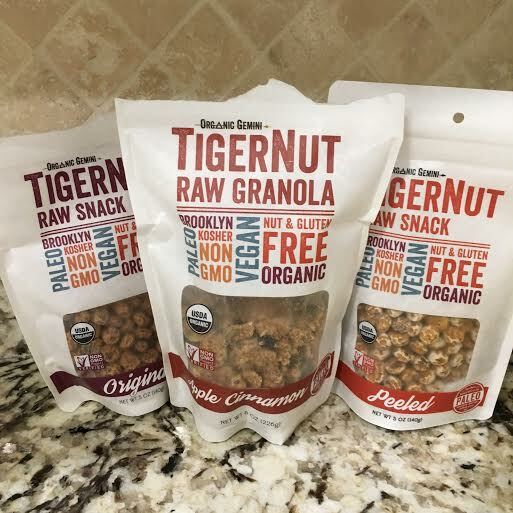 I got the chance to try out some incredible & edible ;) products from OrganicGemini.com and I am so excited to review these tiger nut products! TigerNuts are the #1 source of Resistant Starch, a prebiotic fiber that resists digestion and becomes fuel for our probiotic bacteria. One ounce of TigerNuts has 40% of our daily recommended fiber! 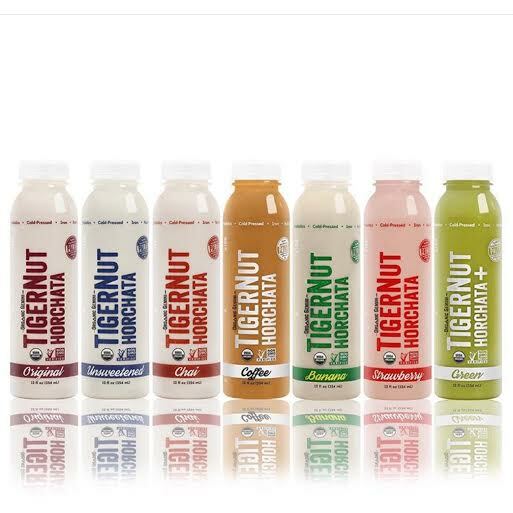 (heres a clip of the too who were inspired enough to go and do their own research on tiger nuts, then started a company to provide these products to everyone to enjoy and have a chance to eat raw vegan, paleo, non gmo, dairy free products! Above this are the products I was able to review. Starting from the top.. the drinks provided me with a lot more energy and energy that actually lasted. I have to admit the taste was hard for me to get past at first but the benefits from drinking them outweighed the unusual taste in the beginning. I also got to test out some yummy RAW snacks. I am obsessed with these snacks. Both the Original & peeled TigerNut snacks were delicious... i have never eaten something like it but boy was I obsessed after trying them. Another favorite is the Apple Cinnamon Raw Crunch. I ate this for breakfast, and snacking through the day! SO delicious and amazing for you. Please take the time to checkout their site, with their incredible story, and these products! Thank you for reading & do not miss out on these nutritious snacks & healthy treats! Love how diverse your blog is, always bringing different products & topics "to the table".